Nuthatch are one of the only birds that can hop "down" the trunk of a tree. They love suet. They have a distinctive "ank! ank! ank!" call. They are not usually flock birds - usually you just see one or two of them on a suet feeder. They will eat sunflower seeds. 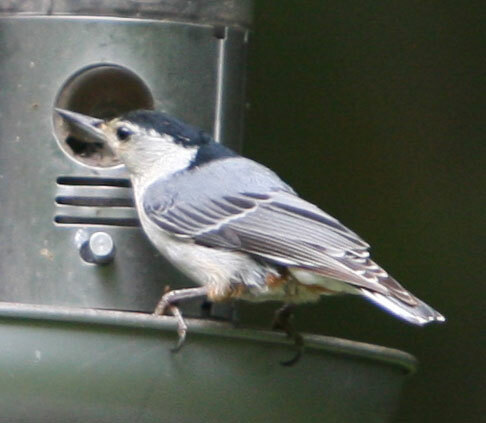 Here's a video taken in the summer in Sutton, which features several acrobatic nuthatches!